Our campground is located at the Tip of the Bruce Peninsula on Highway 6, just 3 km south of the harbor of Tobermory. This quaint little village is a hub of activity during the summer with the hustle and bustle of naturalists, travelers, hikers, cyclists, kayakers, boaters, scuba divers, and shoppers. 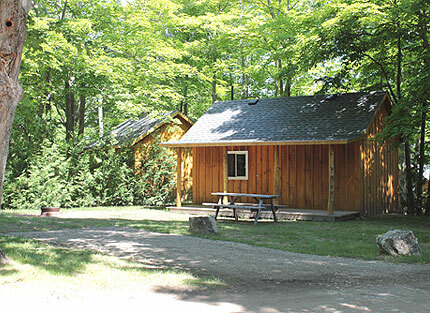 Whether you are traveling in a motor home, camping in a tent or enjoying one of our cabins, we invite you to stay with us and make Tobermory Village Campground your home while you discover the beautiful Bruce Peninsula. We are dedicated to cleanliness, comfort, and friendliness and invite you to browse our web site and familiarize yourself with the amenities we have to offer.